Get new frontend listings near Austin, TX sent weekly. Mission: Enhance the way the world learns. 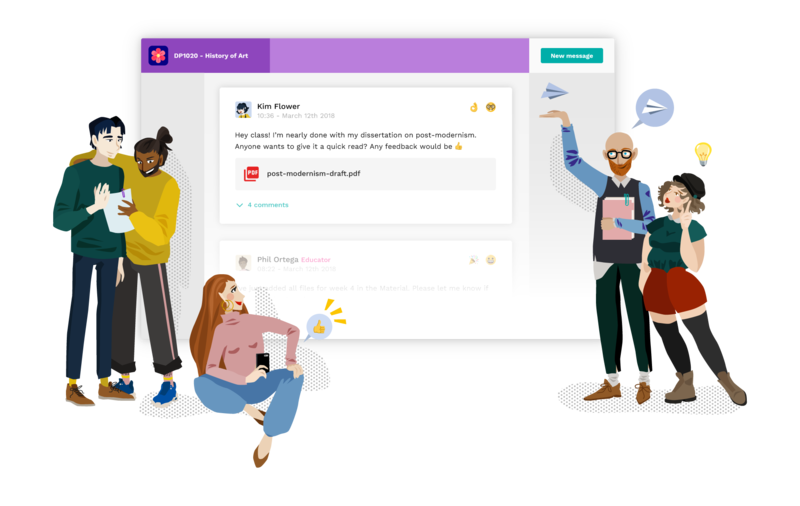 Why: Learning infrastructure should focus on community, collaboration, conversation - not on being a digital file cabinet 🗄️. Who: Humble, curious and builder-mentality. 7+ years of full-stack development. How: React, React-Native, microservices in Node.js, Docker, AWS, Redux, Mongo. Aula is a remote-first 40-person team from 12 nationalities building a communication platform for education. Think ‘Slack for Education’. Powered by an ecosystem of integrations, Aula is the foundational layer in the university tech stack that shapes a whole industry. We built Aula because we believe digital infrastructure should encourage community and participation-based learning. We’re backed by people like the founder of Unity, CTO at Eventbrite, a co-founder of Zendesk, a co-founder of JustEat and world-class VCs like Project A, BrightEye and Sunstone. Aula is a conversational platform for education. Creating and maintaining the best infrastructure to deliver educational content and communication in real time. Enable educators to create the most engaging learning experiences. Never more than 1 click away from human interaction. -Students:Aula means less one-way communication from the teacher, more collaboration with fellow students and easier access to student services like the welfare team. We aim to give every single student the sense of being part of their university’s community. -Educators: Aula means connecting with every student in your class and creating a truly engaging learning experience in a welcoming atmosphere. -Universities: Aula is a digital campus where the sense of belonging lowers student dropout rates and enables a move of focus from physical building to crafting distributed student experiences. Each product area will be led by a duo of a tech lead and a product manager, supported by full-stack contributors and tech leads on cross-platform areas like UI. Sentry's mission is to empower software development teams to build better products, faster. Our crash reporting platform helps tens of thousands of software teams discover, triage, and resolve production software issues, so they can spend less time debugging and more time building software. As a product engineer, you'll join a cross-functional group of software engineers and designers that are responsible for the end-user operation of Sentry. Not only do product engineers build the user interfaces that software developers see and touch, they contribute to the APIs and server logic that power those interactions. If you want to build and improve product features that empower software development teams to do their best work, all while writing open source code, we'd like to talk to you. Sentry is used by tens of thousands of developers, and as part of our small team, you'll find countless challenges to grow and succeed. If you have a strong technical background and want to engage publicly with the software development community, we feel this is a fantastic opportunity. Sentry values diversity and inclusivity in our company and is an equal opportunity employer. We do not discriminate on the basis of race, religion, color, national origin, gender, sexual orientation, age, marital status, veteran status, or disability status. Happy Cog is looking for a full-time Frontend Developer in the NYC area to join our team immediately. You’ll be a member of our development team, working closely with our other fantastic front-end and backend developers during every phase of your projects. You’ll also be communicating directly with clients and with our project managers to understand their requirements and present your work. Your job will be fun, challenging, and interesting. You’ll be working on 2-3 projects at any time; typically one large buildout and a few smaller projects to keep things fresh. And you’ll work on the perfect development system: a huge monitor and a new computer of your choice. Bring visual designs to life using the latest in libraries, frameworks, and tooling. Learn new technologies on the job. We do not specialize in any one language, framework, tool, or methodology – we require our engineers to be resourceful when it comes to learning about shiny new things. Happy Cog is a growing company, and we have more projects than ever, which is why we're hiring! Every project is unique, and you'd be working on those that your skills and experience would be best suited for. Here are some examples of projects we've worked on recently so you can get an idea of what we do. Our tech stack varies from project to project, but some that are used more frequently include Node.js, Typescript, React, Angular 1/2, Foundation, Tailwind, Webpack, ES6, and (many) others. Building out modular/component based visuals in tandem with HTTP APIs and modern CMS platforms (we're not big fans of rigid "templates"). Experimenting with advanced visual techniques and animations to test the limits of what is possible in modern CSS. Defining and setting up a strong foundation for long term maintainability for large scale design systems, and architecting solutions for today's problems and accommodate what future iterations might bring. Architect a new series of features for a cross-platform (iOS and Android) Phonegap/Cordova powered mobile app using Angular 2 and Ionic. Consult with our in-house visual design team on technical feasibility, prototyping complex interactions or dynamic interfaces, or brainstorming on possible solutions to the problem at hand. A creative environment to do the best work of your career. An amazing team of developers, designers, marketers, project managers, and the occasional four-legged office pet. Lunch paid for by the company, every day, via your own Seamless account. Health, Dental, and Vision insurance. Retirement plan with company matching. If you’re interested please apply as soon as possible, attention Ben Smith. Examples of your real-world work are more important than a perfect resume. If you worked on a project with a team, please tell us which parts you were responsible for.